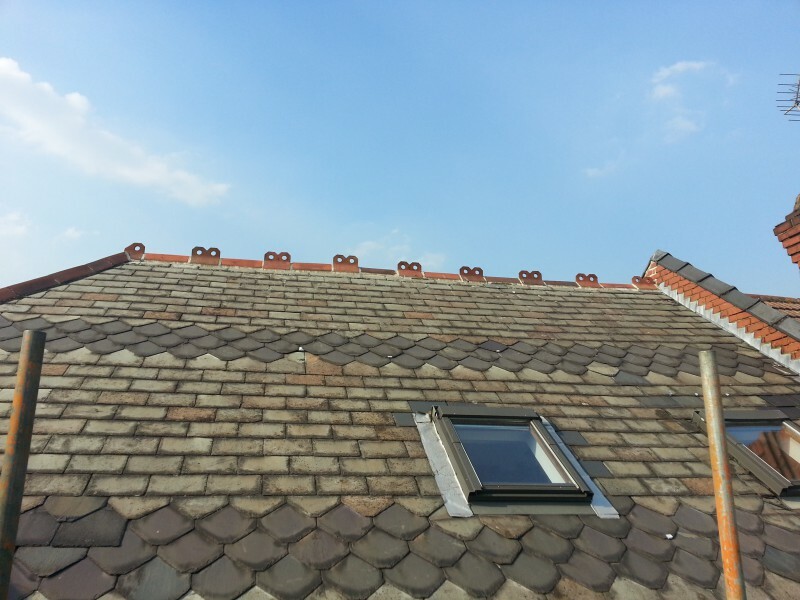 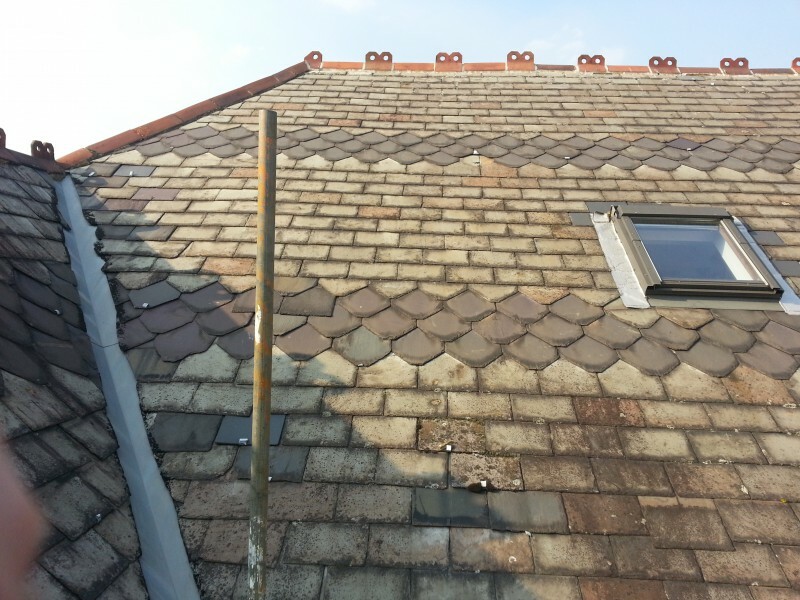 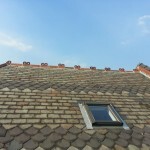 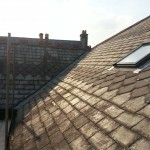 This roof was located in a conservation area and the character of the roof had to kept as similar to the original as possible. 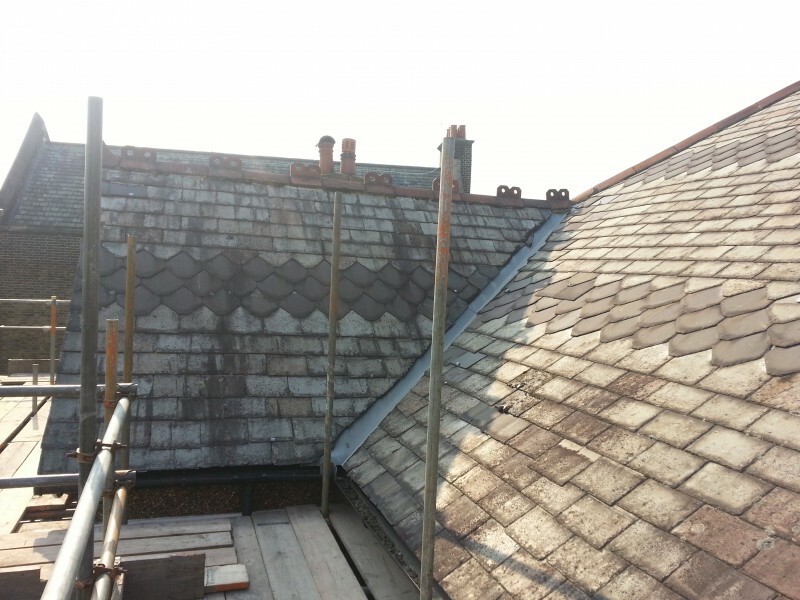 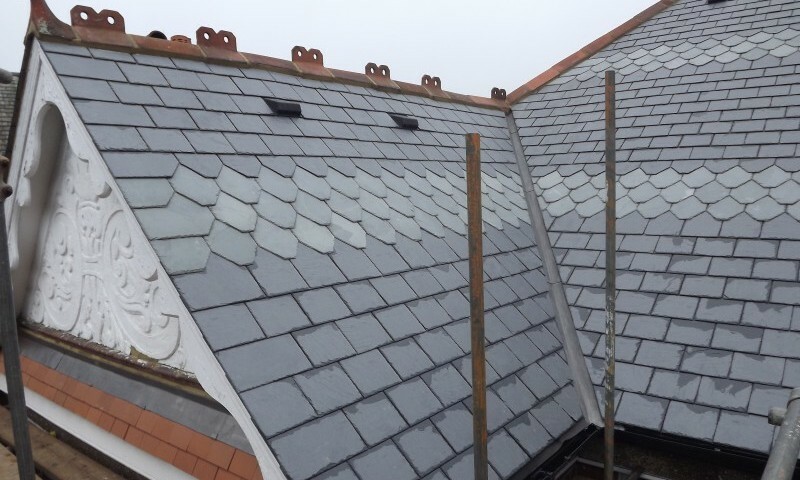 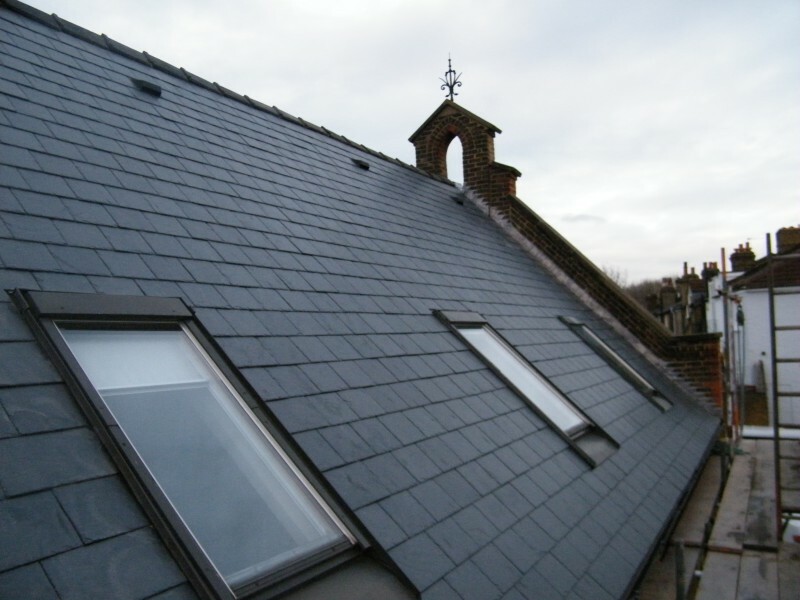 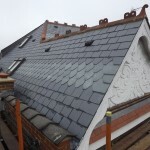 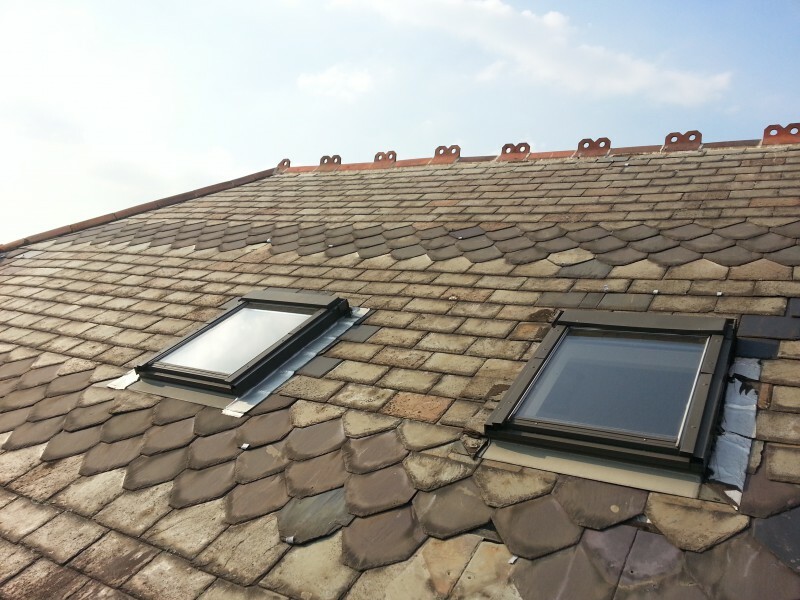 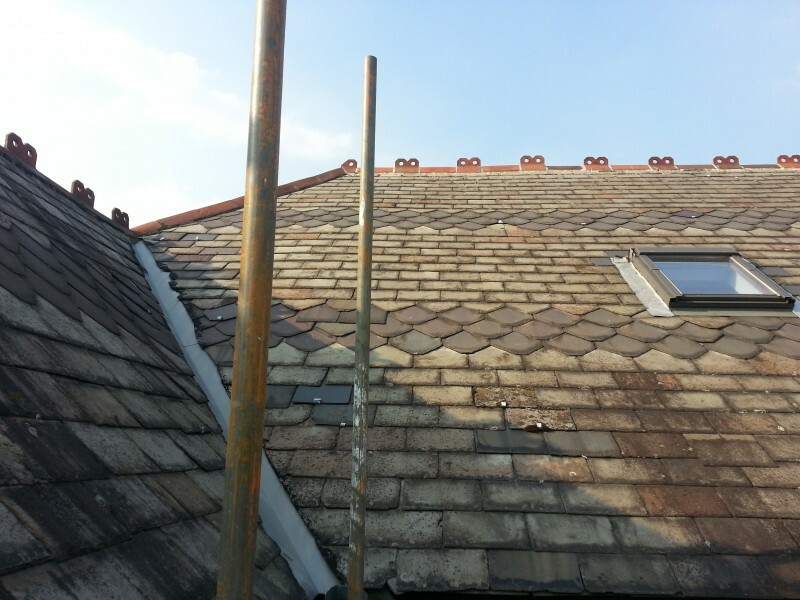 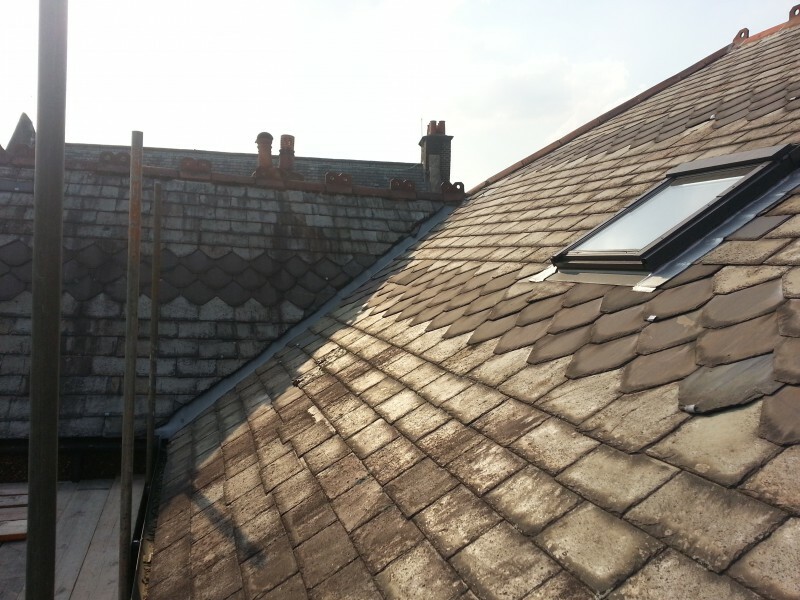 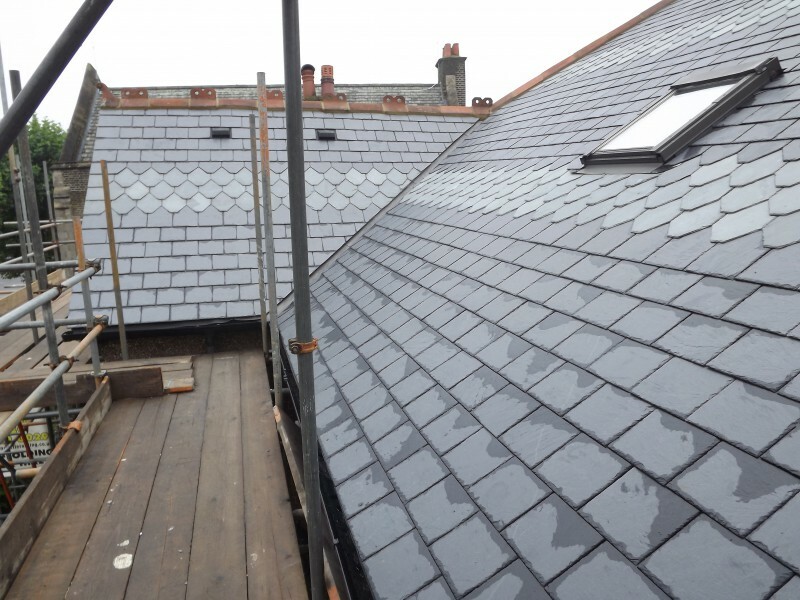 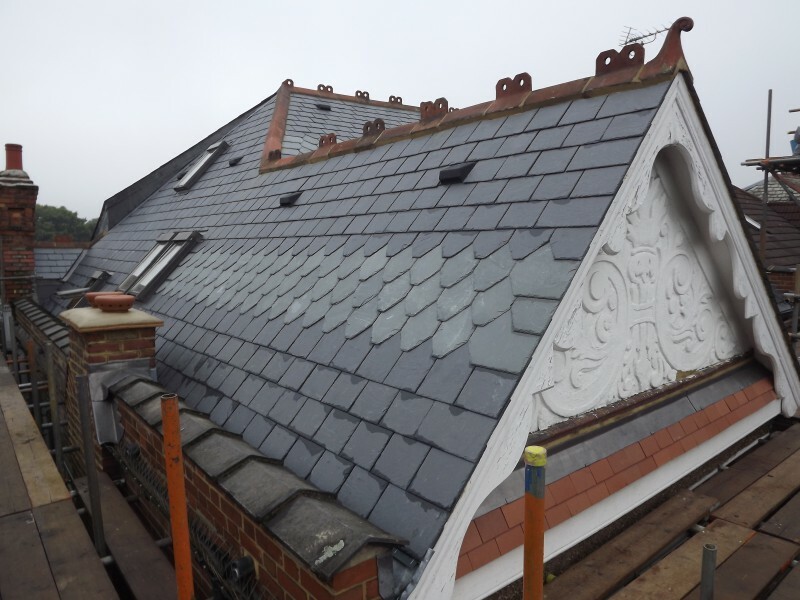 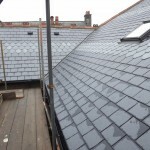 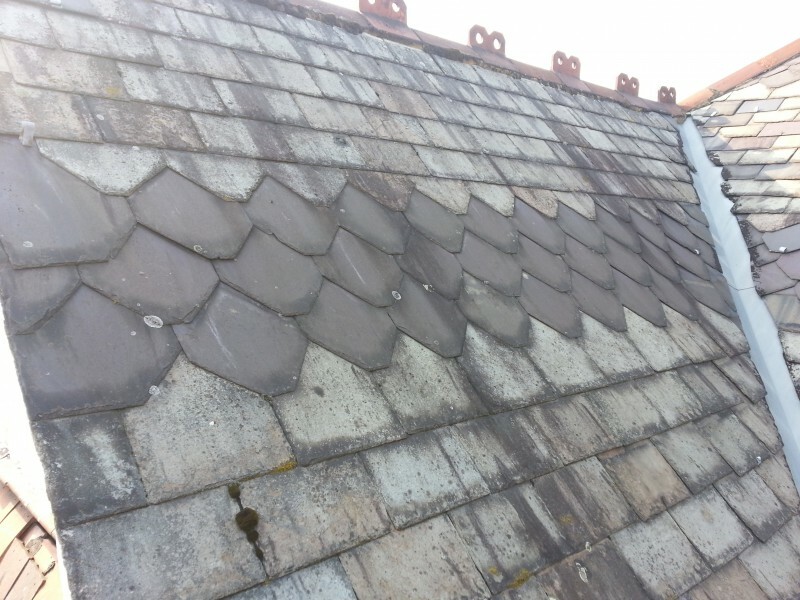 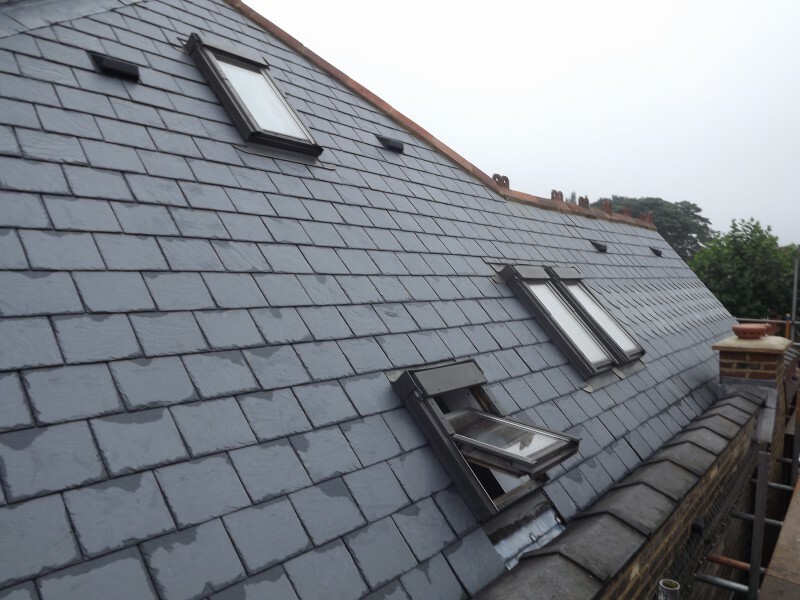 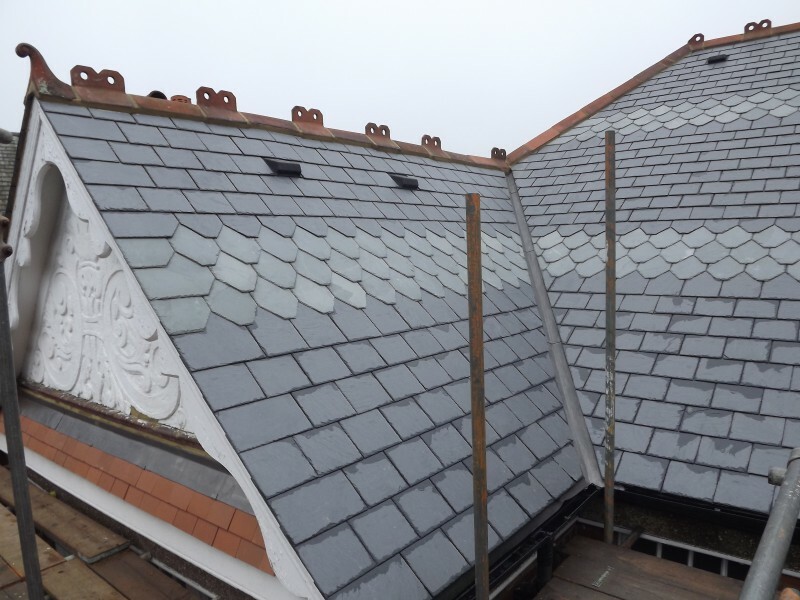 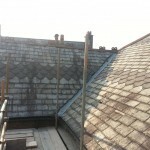 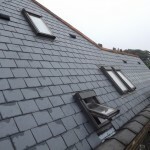 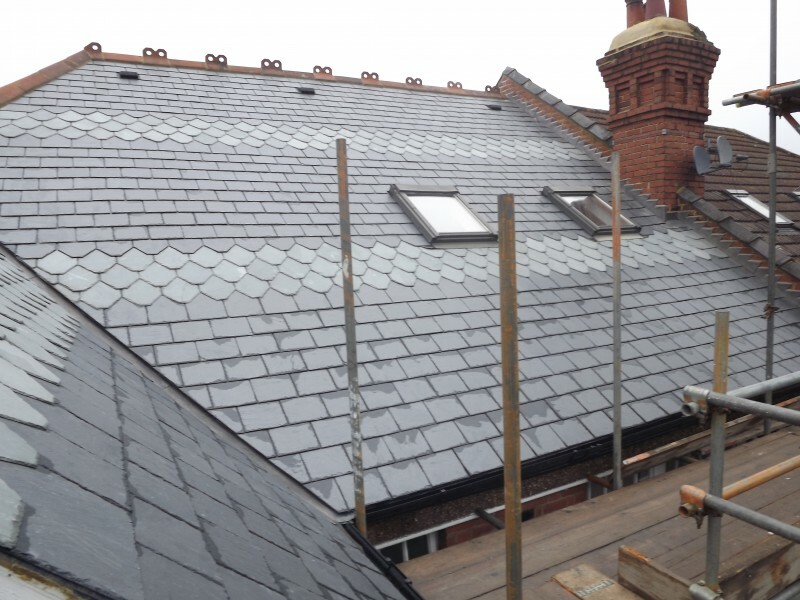 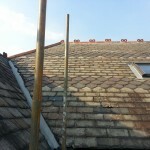 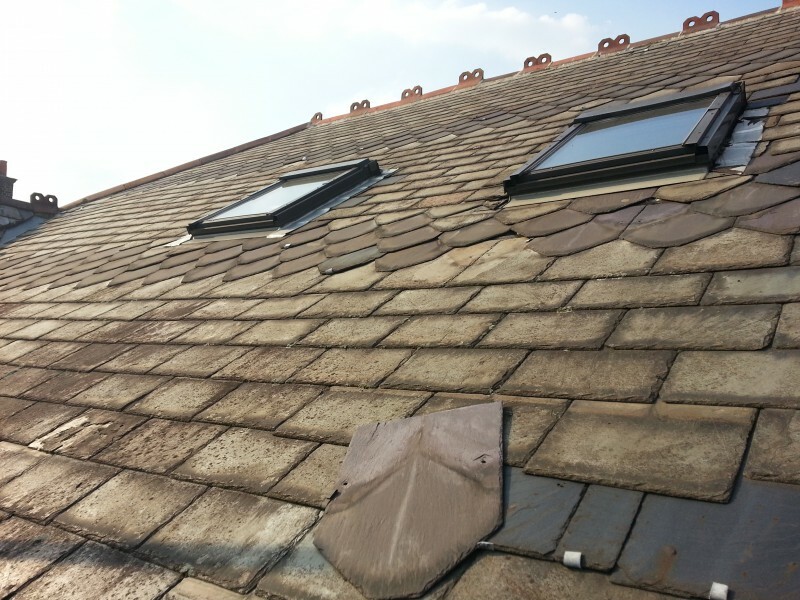 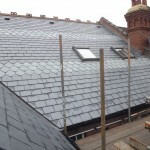 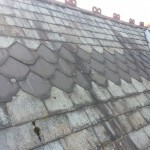 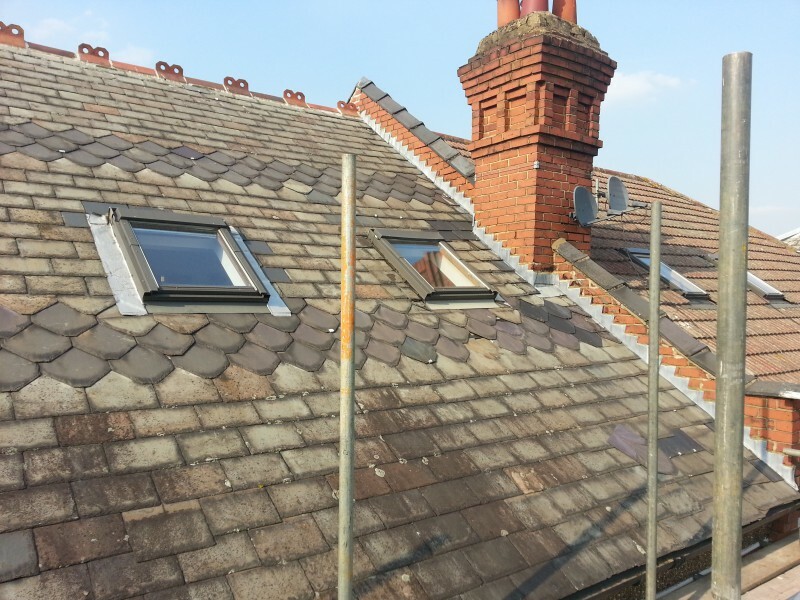 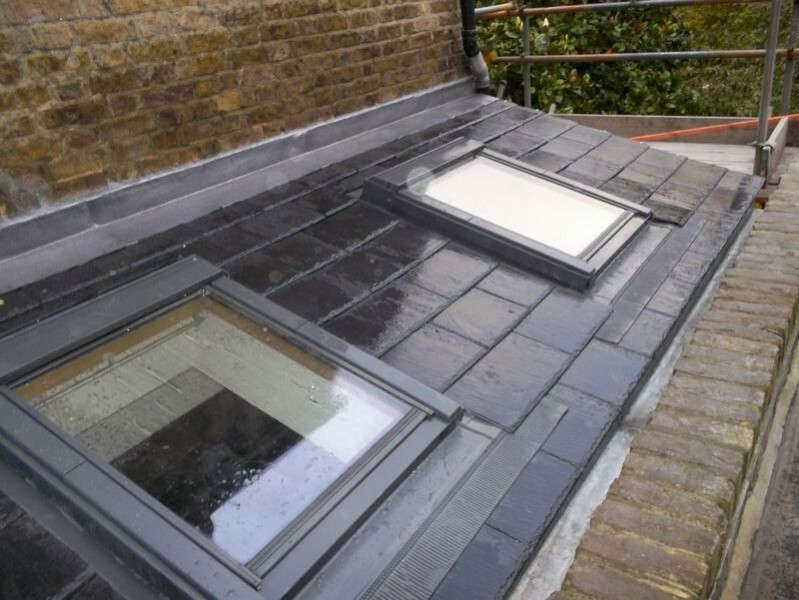 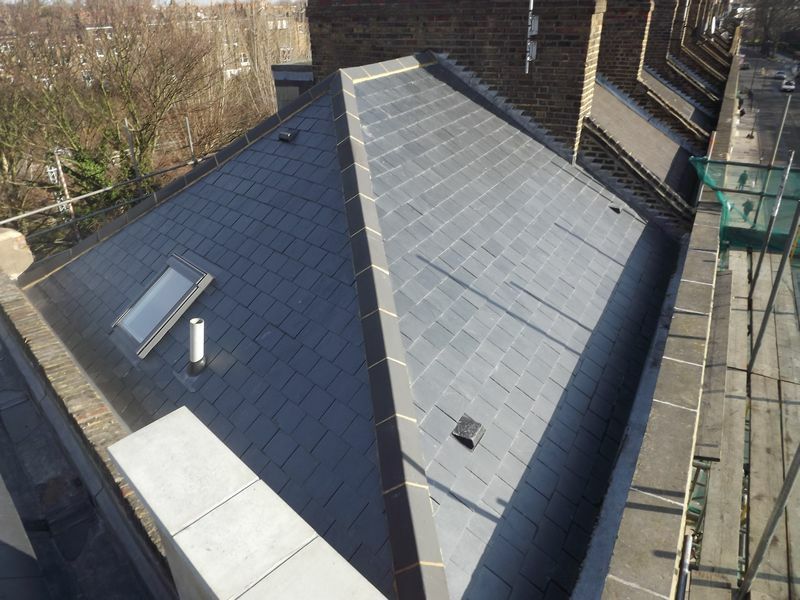 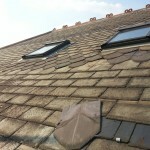 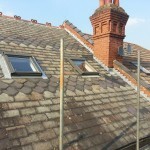 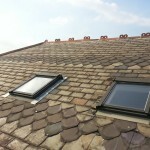 The main roof slope had a double run of patten slates that had to be cut by hand. 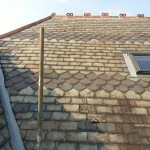 The gable only had one. 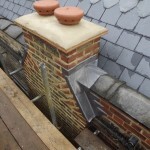 Luckily the existing ridges were salvaged and re-fixed. 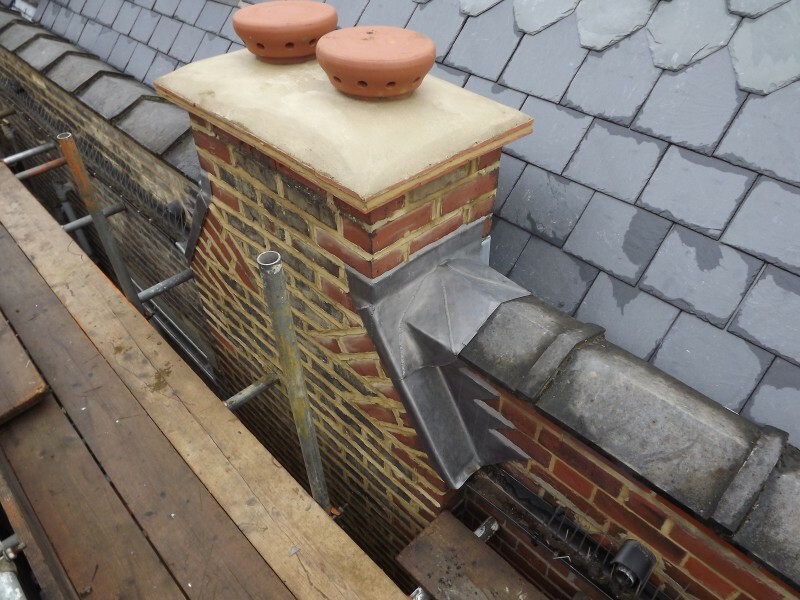 A real quality finish throughout.